Someone who is relatively new to IDPA will often be frustrated with his initial classification. He may have been shooting pistols for many years. He may even be a law enforcement officer. He is an otherwise seasoned shooter, so when he classifies as a Marksman or even a Novice he's not a happy camper. I understand the disappointment. I should say: I remember the disappointment. 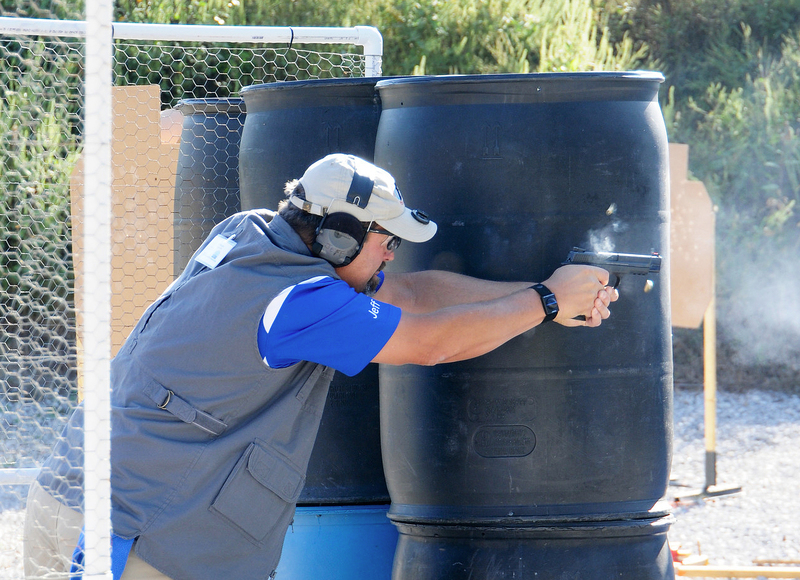 IDPA is a shooting sport that uses practical equipment including full charge service ammunition to solve simulated "real world" self-defense scenarios. And as in any sport, there are both special rules and special skills that have to be learned. And they can't be learned by reading books. They can't even be learned by practicing. Reading books helps as do practice sessions. But to improve your IDPA shooting skills you will have to shoot matches. If a shooter thinks he is classified lower than his actual skills, then he has the chance to prove that in the matches he shoots. He should shoot a couple of matches and see how he ranks in the scores. If you have been classified as a Marksman, but continue to score higher than the other Marksman and even the Sharpshooters in your division at any given match, then you probably need to be re-classified. Of course, if you shoot at a major, sanctioned IDPA match and get scores like that, you will be "bumped" to the next level when the awards are given out at the end of the match. So even if you are an experienced shooter, don't be surprised if you have some things to learn when you begin shooting IDPA or USPSA. Did I say that this is a sport? Yeah, I guess I did.